There’s no better feeling than fighting a feisty fish over the edge of a boat or kayak in open water and coming out the victor. You return to dry land and snap pictures holding the fish in a moment of pride. 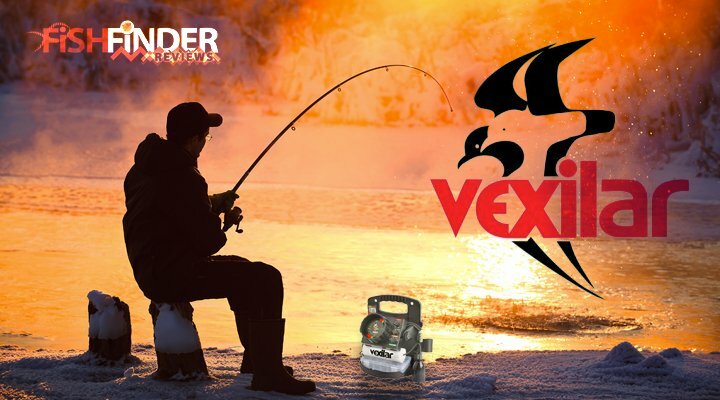 Whether you travel the world fishing in exotic locales or spend your weekends fishing one body of water from your own boat, a fish finder is the tool that will help you enjoy more of those victorious moments. While a fish-locating device is a staple for any serious angler today, this isn’t a product that you should rush out and buy without first studying fish finder reviews. It’s a complicated market with a lot of optional features that you may or may not need, and this guide will help you sink your hook into the best fish finder for your needs. To help you make sense of the market and find kayak fish finders that suit your needs without breaking your budget, I completed the research for you and created this guide filled with fish finder reviews. Keep reading if you want to learn the secrets to selecting quality fish finders suitable for a variety of fishing scenarios. The market for fish finders is exploding with sophisticated devices that make it easier than ever to determine what’s happening not only underneath your boat but around your boat from all angles. You can now make out the location of schools of fish, target individual fish with amazing precision and map your fishing routes even under thick canopies of trees. As new technologies transform the fishing industry, prices are dropping on devices with some of the most attractive features. In addition to standard fish-locating devices, you can now pick up combination devices with built-in GPS systems or chartplotters. A chartplotter displays a map with an overlay of your location, allowing you to stay oriented at all times. Combo fishfinders typically sell for $600 or less while fully-networked devices with more expansive features can sell for $2,000 or more. These more elaborate systems are typically used by professional anglers, but even a beginner with a limited budget can now afford a low to mid-priced unit. With so many products available, it’s difficult to determine the best fish finder for your needs. The reviews to follow will introduce you to five of the best options available right now. These are all products that I consider a catch, so get ready to hook one and take your fishing skills to the next level. What Is the Best Fish Finder for Kayak? Fish Finder Features – What Do You Really Need? The FishHunter allows you to use sonar technology, and with mapping and GPS navigation you can keep track of the major fishing spots. It works just fine without it, but the social features of course, require an Internet connection. Other than that however, the device runs without a hitch. The Deeper Fish Finder was designed for beginners and advanced users who want to locate the best places to fish fast. The app – compatible with Android and the iOS – provides up to date information about the weather in the area you’re fishing in, and there’s a lunar fishing calendar too. The Deeper lets you store data on cloud and use several devices, and all the information is displayed on your mobile device. The Deeper is especially useful for angling as its sonar beam checks the area where you cast it and relay the information to your tablet or smartphone.The Deeper can be switched from standard fish finder to one for ice fishing and convert it as a flasher, and there’s a zoom feature too. Depth accuracy is good for 130 ft. The Garmin is known for their quality GPS products, but they also make superior fish finders like the Striker 7cv. This fish finder provides you with up to 500 watts of RMS sonar power. All the essential information is shown in the 7 inch color display, and it uses Garmin’s proprietary HD-ID target tracker accurate information to find where the fish lie at the bottom of the river or lake. The Striker 7cv has a dual beam transducer that allows it to scan accurately for a maximum depth of 2,300 feet. However, its use is not limited to deep water as its wide scanning angle makes it easy to scan shallow water. The Striker 7cv uses the high-sensitivity GPS and Garmin CHIRP ClearVü™ scanning technology so you’ll be able to keep track of your sonar history even when the depth range varies. The Garmin also lets you rewind your sonar’s activities to ensure nothing was missed. The unit also comes with a quick-release tilt mount for simplified installation. Has a maximum depth of 2300 ft. The Lowrance Hook 3X Fish finder is an advanced transducer that packs a lot of features and power. The device measures 3.75 x 1.85 x 6.5 in and comes with a broadband sonar that provides a great level of sensitivity compared other action fish finders. The Hook 3x scans fish in detail and also provides information about the bottom structure. The detail provided reduces clutter, boosts the device’s life and makes it less of a battery hog. The Hook 3x frequency runs at 83 kHz and offers up a conical coverage of up to 60 degrees, ideal for scanning large areas. The frequency also runs at 200 kHz and a conical coverage of 20 degrees, great for fish target separation. All the information is shown on a bright 320 x 240 LED screen. The display is in full color so the data is easy to read whether it is daytime or at night. Last but not the least, the Hook 3x comes with a tilt and swivel bracket. One of the most notable features on the Elite 5 is its 5 inch display. With 256 colors and 480 x 480 pixels, it provides high contrast, viewing detail, resolution and brightness. Details are sharp and have wide angles too. The keypad light is also adjustable so you can read information whether it is day or night.The Elite 5 has a Hybrid Dual Imaging that provides the Elite 5 with the power of Down Scan Imaging device and an 83/200 or 50/200 KHz sounder. What this means is you get high resolution images that make it easy to understand details about your baitfish, predator fish and other information.The Elite 5 lets you view the details either as overplayed or side by side, and the GPS WAAS+EGNOS+MSAS capabilities allows for precise navigation. The Elite 5 runs fine as it is, but you can add an external antenna for custom jobs. You also get a micro-SD memory card slot that is waterproof and compatible with Lake Master map cards and Navionics Gold chart cards. The Venterior is equipped with a fish alarm and a fish depth scale, and it’s versatile enough to be used in seas, rivers, lakes and other fishing environments. Like any good fish finder, it has a waterproof transmitter and displays data in feet or meters. There’s also a LED backlit display for easy reading whether it is day time or you’re fishing at night.The maximum depth is 100m (328.08 ft.), but it’s just as efficient for shallow water fishing as it can do readings as hollow as 0.7m (2.30 ft). Once the transmitter is set you’ll be able to tell the fish apart from other objects underwater. The operating temperature is -4°F to 158°F / -20°C to 70°C so you can use this in a variety of fishing locations. The sensitivity setting can be adjusted: at low settings you’ll only see big fish, but if sensitivity is set to high, both small and large fish will be detectable. The iBobber was built specifically for use with your tablet or smartphone. Compact and easy to use, the iBobber can locate fish down to depths of 135 feet, more than suitable for serious fishing. The iBobber detects fish over and under 15 inches and syncs the information with your iPad or iPhone via Bluetooth. The sync feature works up to a distance of a hundred feet so you don’t have to be confined to one place. The iBobber also lets you do waterbed contour mapping, log your fishing activities and tag specific GPS hotspots.The iBobber has a lunar calendar and a strike and fish alarm, and the weather sync ensures you’ll be able to fish in ideal weather. The Bluetooth and Wi-Fi features work with iOS and Android systems so compatibility won’t be an issue. The iBobber Fish Finder does a good job detecting fish and the information you get is still reliable even if the weather is less than ideal. The essential data like water temperature, depth and fish are accurate, and the underwater mapping can be useful in a number of different ways. The kayak fish finder is one that makes fishing more enjoyable for you, fits your lifestyle and lines up with your budget. The kayak fish finders enhance you in a large fishing boat is naturally different from the device you may take on a kayaking adventure. If you enjoy more fishing, you will need a device designed to work in that unique fishing environment. As you read fish finder reviews and compare products, you’ll notice a variety of features added to some models. 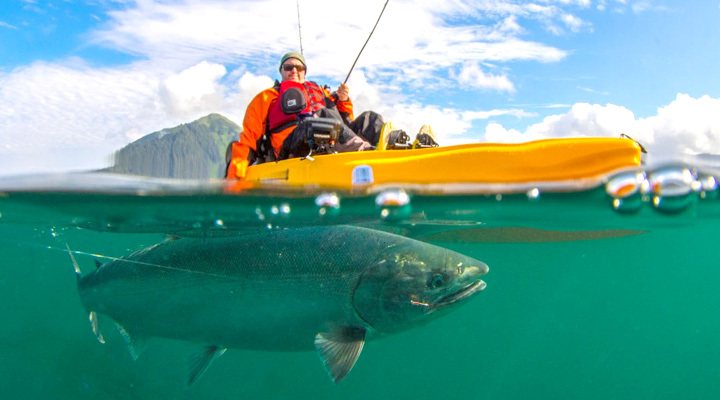 This list will familiarize you with some of those features so that you can determine which ones benefit you enough to justify the investment in a more advanced kayak fish finder or other devices. Standard fish finders send signals directly underneath a boat, so they’re referred to as down-scan devices. Those that send out signals in a wider, fan-like pattern to include the peripheral view are referred to as side-scan devices. Down imaging will give a clearer view of specific fish in the immediate area of your boat, but side imaging allows you to get a more expansive look. If you fish in different bodies of water, it’s best to buy a fish finder with both down and side-imaging capabilities. If you most often fish in shallow water, a side-imaging unit will work best while down-imaging is more efficient in the deeper water. Many of the best fish finders now incorporate built-in GPS systems because they make fishing in large bodies of water safer. You always have a dependable device to point the way home if you get disoriented or run into bad weather, and many systems allow you to create your own charts and routes as the GPS tracks your movement. Chartplotters provide maps overlaid with your exact location, so you always see where you are in relation to surrounding areas. You may pay a bit more for combination fish finders that contain at least a basic GPS system, but it’s worth the investment. Cheap Kayak fish finders often have greyscale displays, but most mid to high-end models offer color displays. Some have better resolution than others, and the size of the screen may determine how easy it is to make out smaller details even when the graphics are bright and clear. Not all fish finders are designed to connect on to a boat. 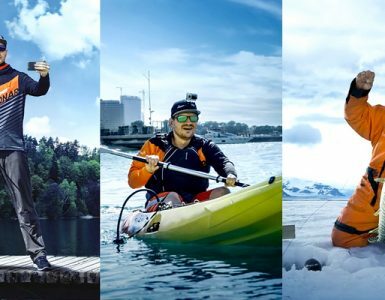 You can now pick up a portable device that connects to your fishing pole or a handheld device suitable for hiking, water sports and other applications. If you own a boat, then investing in a mounted unit is your best option. If you have a small boat, look for a compact unit that comes with a mount. If you do most of your fishing in rental boats or from the side of a smaller vessel like a kayak, then you should consider a lightweight portable or handheld unit. If you own a boat but also need a good GPS unit for hiking and other outdoor activities, you may need a mounted fish finder as well as a portable unit. When you read fish finder reviews written by consumers, pay attention to the reasons the reviewer liked or didn’t like a product. You may find that what one person hates about a product is the exact reason you would love the same product. If you want advanced technology but can’t afford to spend $1,000 or more, take the time to shop around for discount fish finders. Sale prices can bring expensive units within your budget. The best fish finder is always the one that fits your needs best, so shopping according to price alone is a mistake. Determine what features you need first, and then shop for a unit that fits those needs. 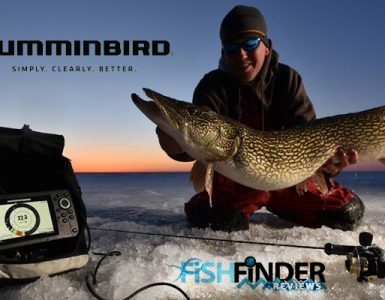 A cheap fish finder that doesn’t meet your needs is a waste of your money in the end if you fail to choose the perfect one by comparing with reviews. Don’t pay for more power than you will actually use. Units with 3,000 watts of sonar power or more will deliver more efficient readouts, but you may not need that much power if you fish primarily in shallow water. If you fish in saltwater, you may need to invest in a more powerful fish finder. This is due to the energy-absorbing nature of saltwater. You simply need more power to get quality readouts. If you fish in a variety of locations, look for a unit designed for saltwater and freshwater. A fish-locating device will make fishing more enjoyable while keeping you safe while out on the water. Now that you understand more about the features available on the market today, start reading reputable reviews to determine which models are best for your fishing needs and your budget.